Shopping, golf, restaurants, motels…we have it! And much more! For folks with a “need for speed,” Kenly boasts the Southern National Motorsports Park, a NASCAR-sanctioned track with races running most weekends, and the Tri-County Kartway featuring the Mid-State Racing Series. and offers a “Stepping Into the Past” series each Saturday from 10am-3pm with demonstrations and displays of traditional arts, crafts and trades featured on-site. It also provides interpretive information for the Boyette Slave and Schoolhouse, an 1830s structure originally built as a dwelling for slaves. The schoolhouse features the only mud and stick chimney known to be intact in North Carolina and is listed in the National Register of Historic Places. 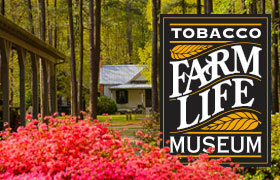 Click the link to learn more about the Tobacco Farm Life Museum. 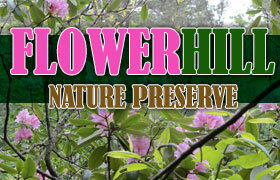 Nature lovers will not want to miss Flower Hill Nature Preserve and the chance to view blooms in the cool, sheltering environment friendly to Catawba rhododendron, galax and other flora more commonly found 200 miles west in the southern Appalachians. Hatcher Bridge Tree Farm offers environmental education, camping, hiking and bird watching. 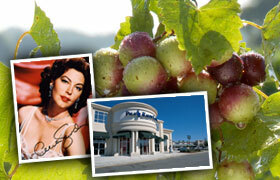 Johnston County has two wineries with tasting and tours, the Ava Gardner Museum in Smithfield, and the Carolina Outlet Center. Visit www.johnstoncountync.org for more visitor information. The Town of Kenly is rich in agricultural history and today visitors can enjoy a trip back in time at the Tobacco Farm Life Museum. Over 25 years ago, local residents offered van rides to area farms to share the love of their farming community with travelers. Visit visitkenly.org for more visitor information. © 2019 · Town of Kenly. Developed by Sam Holt.